WASHINGTON — Negotiations are underway for Christine Blasey Ford — the college professor who accuses Supreme Court nominee Brett Kavanaugh of sexually assaulting her when they were teenagers — to tell her story to the Senate Judiciary committee next week. The tweet angered Maine Sen. Susan Collins, a key Republican still undecided on Kavanaugh. “We know that allegations of sexual assault are one of the most under-reported crimes that exist,” Collins said. Ford’s attorneys spent the day negotiating the terms of Ford’s congressional appearance. They want Kavanaugh to testify first. But Republicans on the Senate Judiciary Committee said Ford should, rejecting her request for an FBI investigation. They plowed ahead with their own probe. 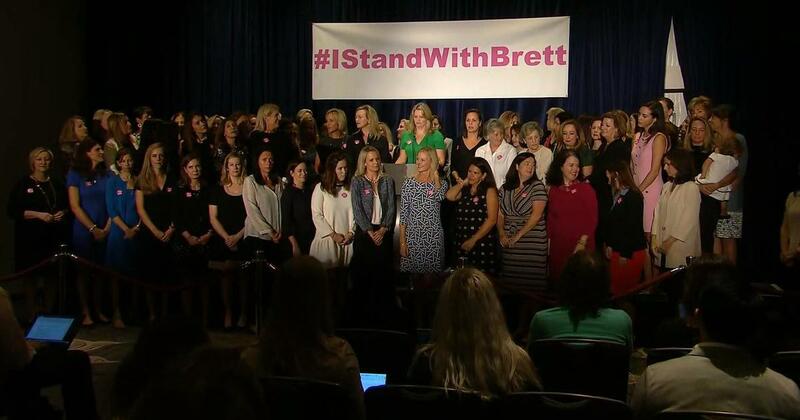 On Friday, 75 women gathered to show support for their friend, Kavanaugh. That included Maura Fitzgerald, who dated him in college. 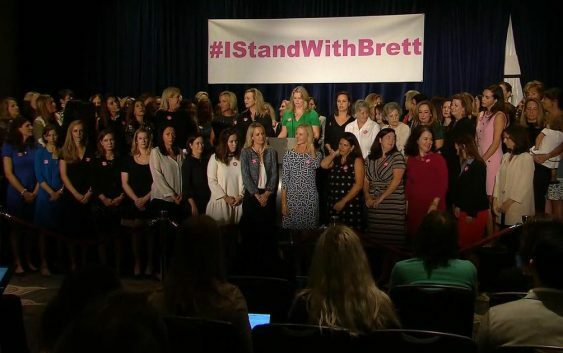 “In both public and private Brett treated me and everyone I know with respect. He has always been kind and good natured,” she said. Ford said a drunken Kavanaugh “put his hand over her mouth” at a high school party and “groped” her — an accusation he denies. At a conservative summit in Washington, D.C., the Senate’s Republican leader projected confidence that it will all work out. “In the very near future, Judge Kavanaugh will be on the United States Supreme Court,” said Sen. Mitch McConnell.